The Four Winns HD 200 OB Freedom is the newest and smallest member of the HD line. Even so, it carries with it the pedigree of the brand — and with a starting price of $35,067, it’s an ambassador for a new generation of Four Winns owners. 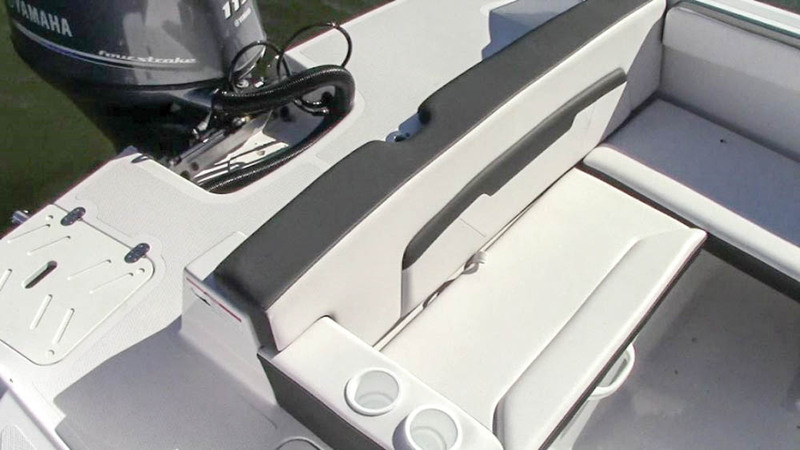 At just an inch more than 20 feet long, this deckboat maximizes interior room with an 8-foot, 3-inch beam. Deckboats can sometimes look a little frumpy, but sleek lines and a tinted, raked windshield make this one a looker. 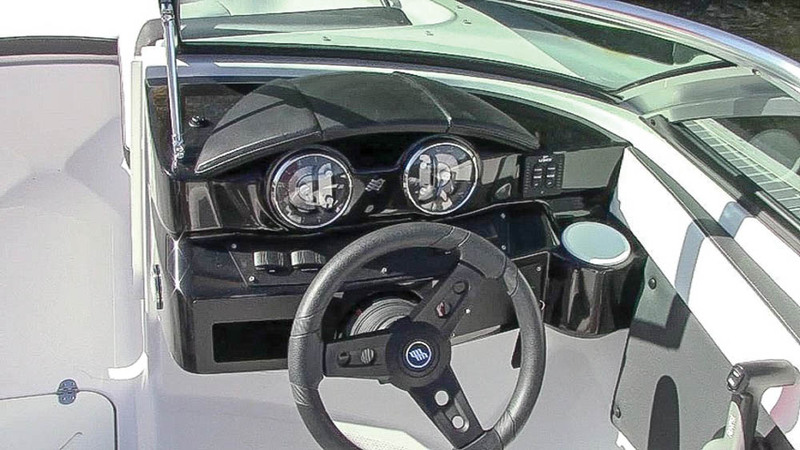 The cockpit layout is simple: an L-lounge and matching helm seats that both have flip-up bolsters (part of its standard package). An in-floor ski locker is standard. Like its more expensive brethren, the HD 200 OB features Aquaflex upholstery, which is exclusive to Four Winns. The black accents are textured like cloth, which diffuses the sun’s rays and keeps it cooler than traditional vinyl. Its deckboat design keeps the beam wide up front for extra passenger room. The swim platform is roomy and clean, and the boarding ladder is neatly tucked underneath a cover. On this entry-level Freedom model, Four Winns chose to limit the available options and keep it simple and affordable for the consumer. 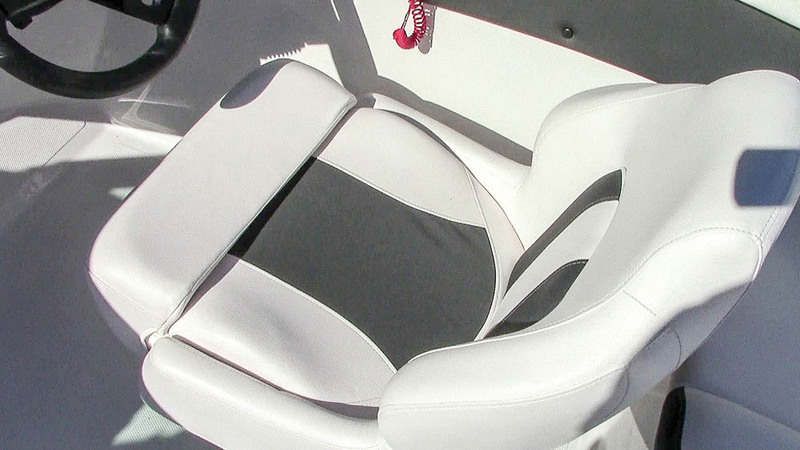 Of course, buyers will want the Kicker Bluetooth stereo option ($353), which places the controller in the roomy, lockable portside glove box. Despite the low price, a single-axle Sure-Load trailer with brakes is part of the standard package. 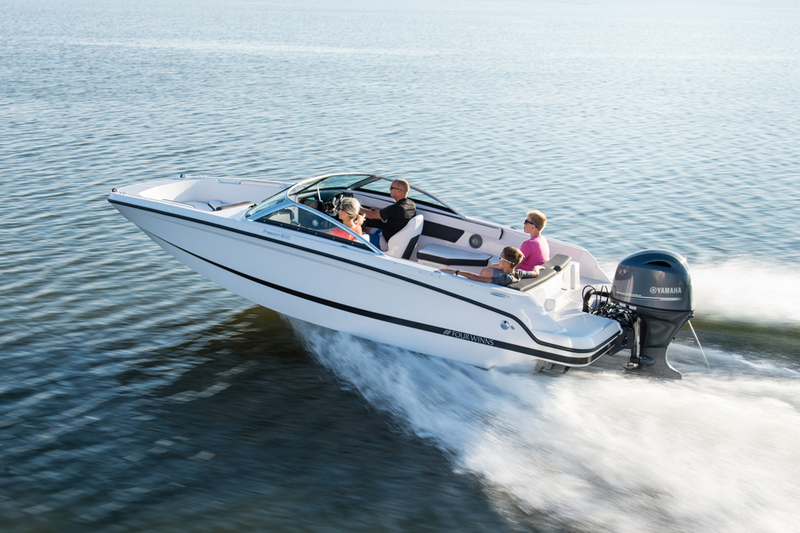 The HD 200 also comes in a sterndrive version and can be equipped with a Volvo Penta Forward Drive system that tucks the props well under the hull, to allow activities such as wakesurfing. It was a rough day on Lake Cadillac in Michigan when we tested the HD 200 OB, but the Stable-Vee hull handled the whitecaps nicely. 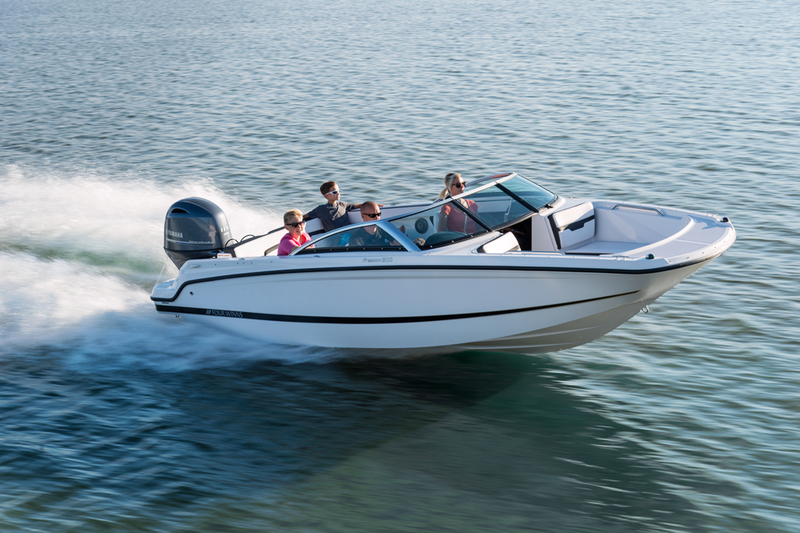 The hull design gives the boat excellent cornering ability and keeps it flatter in turns than most other boats. Despite the relatively modest power of the Yamaha F115 four-stroke, there’s enough giddy-up to make the boat ski-worthy. Thanks to the hull’s stepped after-pod design, the boat got on plane in 3.1 seconds, reached 25 mph in eight seconds flat and attained a top speed of 37.1 mph. The only other engine option for the Freedom edition is a Mercury 115 FourStroke, whereas the standard HD 200 OB can be powered with up to 200 ponies. Time to Plane: 3.1 sec. LOA: 20 ft., 1 in.